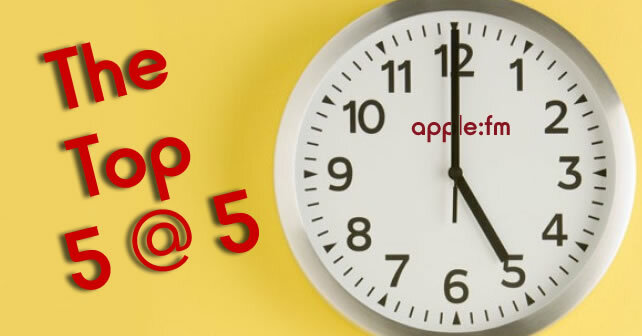 It’s back, after a years rest, popular competition The Top 5 At 5 has returned to our Drive-Time show. Taking over from Lets Get Lyrical, which is now taking a rest, you can catch The Top 5 At 5 on weekday evenings at 5pm. The aim of the game is very simple. We play you five songs that are all from the same year and you simply have to guess what the year in question is. To make it even easier we will also give you some clues along the way. An Apple FM car sticker is up for grabs for the winner each day and you can check out full competition terms and conditions Here.